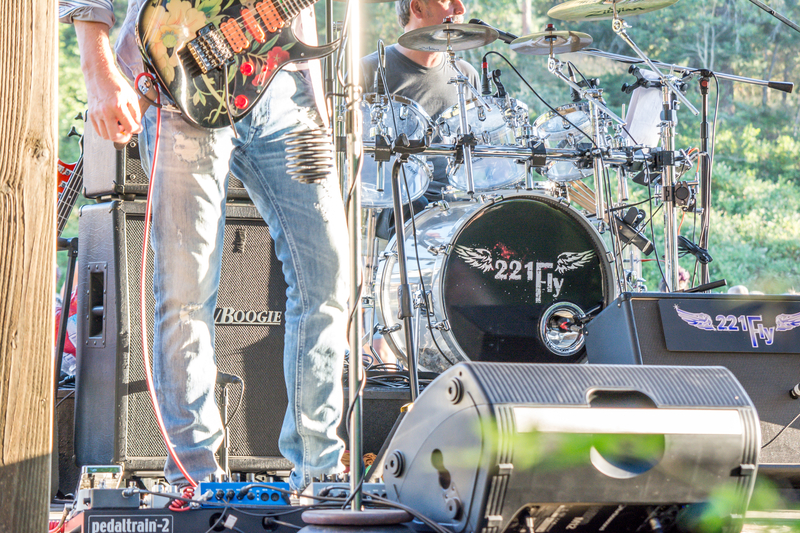 221FLY is an original rock band from Southern Oregon, USA. The band’s music is an eclectic and original mix that harkens some familiar sounds, yet pushes sonic boundaries teetering delicately between the worlds of their many influences; Rock, progressive rock, southern rock and blues. The band's broad range of musical influences and style has opened the door for them to share the stage with performers such as Quarter Flash, Firefall, Y&T, Eddie Money and playing at events that included Lucas Nelson and Collective Soul. The band's third album release from August 2017, "Tabula Rasa", was a substantial turning point in the band's musical style. The album has brought new life and an edge to their sound that has catapulted their popularity with streaming plays and sales in the USA, United Kingdom, Germany, Sweden and the Philippines.